The beautiful Turquoise coast (the southeast coastline of Asia Minor - Turkey) can best be explored by gulet on a Blue Voyage. A gulet is the modern equivalent of the traditional wooden vessels that were used by fishermen, other names are goulette, caique or gullet. 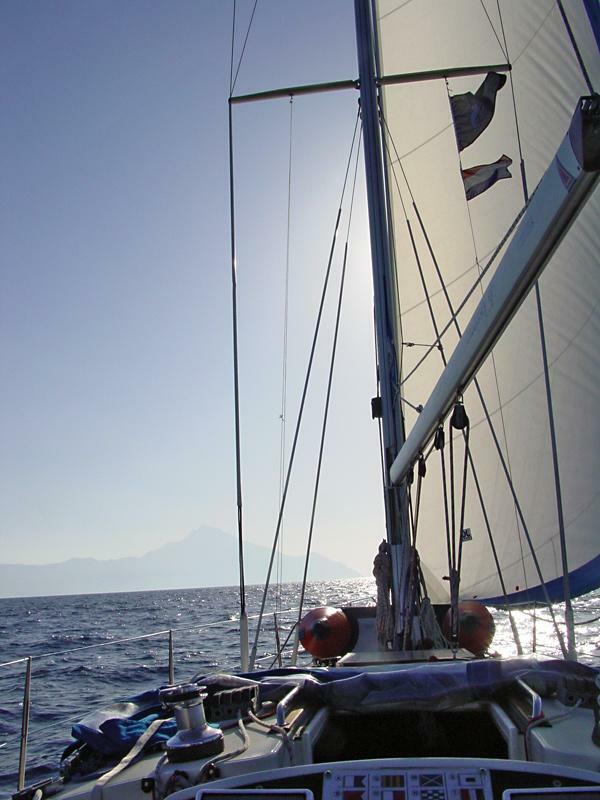 Gulets are primarily motorsailers with two or even three masts, though the engines are its main means of propulsion. The Blue Voyage has its origin in Bodrum, along the Carian coast of Turkey, when a critical author was exiled to this region for writing a story on desertion in the army. This happened in the early years of the young Turkish Republic when Bodrum - and the adjacent coasts of Lycia and Ionian as well - were utterly remote from the capital of Istanbul. The writer - Cevat Sakir Kabaagacli - soon discovered the glorious landscapes, blue bays and charming villages and became friends to the local fishermen. In his own words: his place of exile turned out to be paradise, and the fishermen not only were a source of inspiration but it was on their wooden fishing boats that he brought to light the magnificent beauty of the Bodrum coasts. The various visiting intelligentsia and fellow wordsmiths from Istanbul were treated by him on a so-called Blue Voyage on gulets, and they subsequently spread the word about this paradise around the world. Nowadays, a blue voyage is the paragon of luxury and romantic cruises in the Mediterranean Sea. Bodrum is the main port for these luxurious fully crewed sailing vacations, but also Marmaris harbours a fleet of motorsailers. Besides these Carian coasts the west Lycian, the east Lycian and the Ionian coasts can be explored as well. Moreover, the lovely Dodecanese of Greece can easily be included in your blue voyage, although there is a Greek law (blatant protectionism!) that only allows Turkish vessels in Greek waters to carry a maximum of 12 guests. However, a typical blue voyage hosts 6-10 guests on board, and the majority of these sailing vacations are full charter or private charter, as opposed to cabin charter.
.: Back to our own voyage in the Med. :.